Helen models a gorgeous spring ensemble. We hosted our annual Spring Fashion Show on Tuesday April 28th. 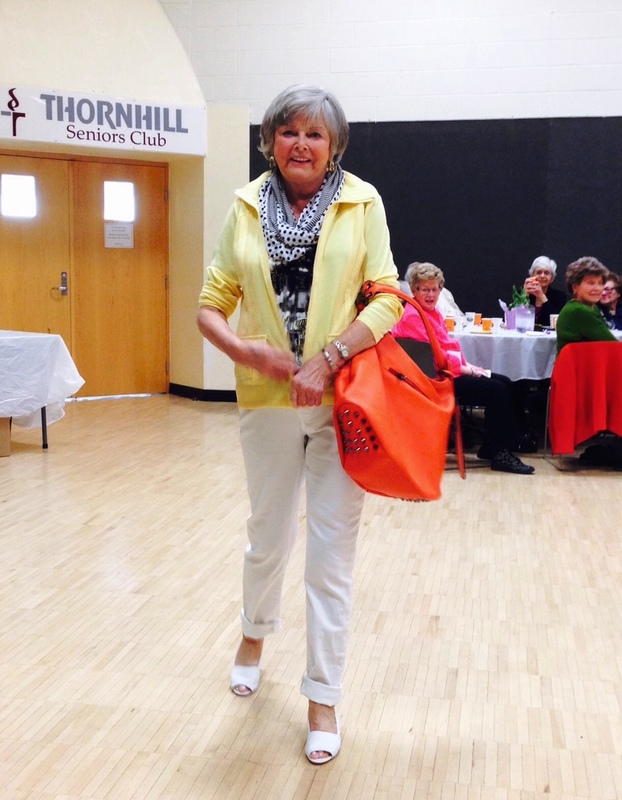 Our wonderful volunteer models wore all the latest fashions and the audience enjoyed a lovely lunch. Many thanks to The Shops on Steeles and 404 and MOSAIC for their generous sponsorship! This entry was posted in Bridge Results, Main Posts. Bookmark the permalink.